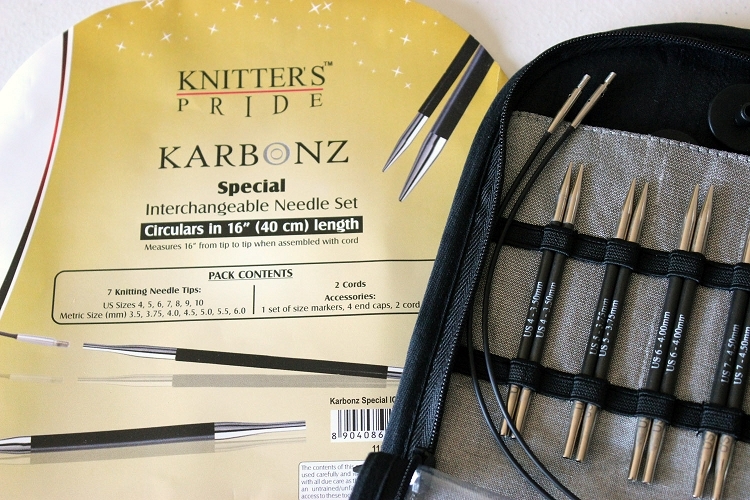 Knitter's Pride Karbonz are made from high-tech carbon fiber and feature tips capped in nickel-plated brass. 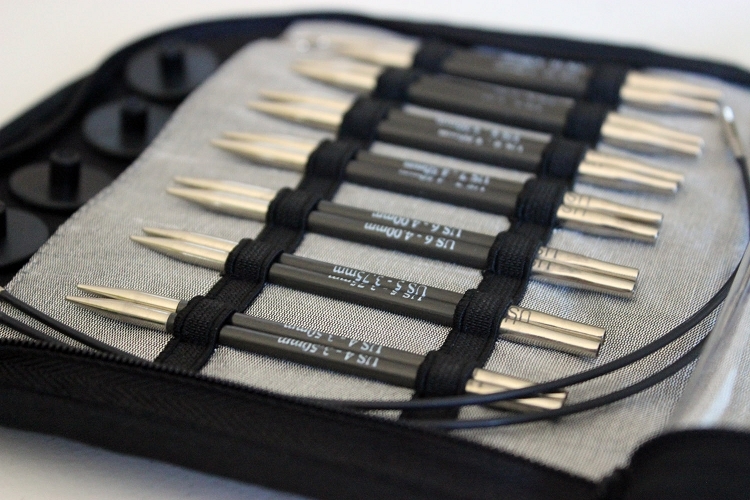 The needles have extremely high tensile strength while still being lightweight and flexible. The needle tips in this set measure 3 1/2 inches without the cord attached. -Smooth joins with an easy-to-connect, flexible cord. 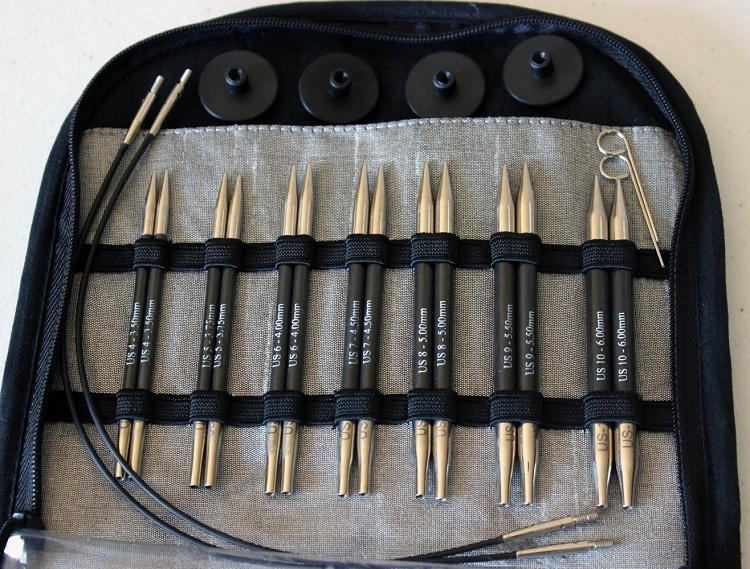 - 7 pairs of interchangeable needles. - US Sizes 4, 5, 6, 7, 8, 9, and 10 / Metric Sizes 3.5, 3.75, 4, 4.5, 5, 5.5, and 6. - 2 cords to make 16" (40 cm). - 1 set of size markers, 4 end caps, and 2 cord keys. - Packed in a zippered fabric case. 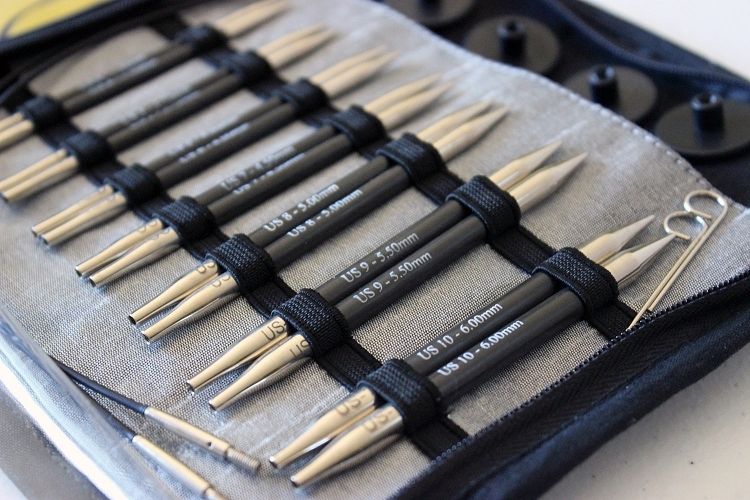 These are the best needles for hats, or whatever else you may knit. The size range is perfect for me and they are so sweet to worth with. No snags, no hesitation, just a pure joy to work with. Handsome Fibers is my source for needles!